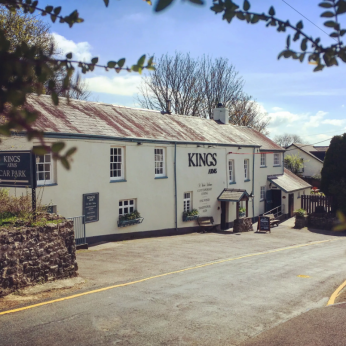 Kings Arms is a beautiful long house Gastropub located in the heart of Wales, a small village near Cardiff named Pentyrch is where we call home. The pub originally opening in the seventeenth century and still includes most of its original features, The stone walls, original beams and an open fireplace in the snug with a chamfered beam dated back to 1711 being just a few of them of them. This beautiful pub has just undergone a refurbishment with the sole intent of enhancing the original features and helping bring a little more warmth into this countryside location. New owners Owen and Helena opened in March of this year, and has loved the welcome from both the village and surround area's.